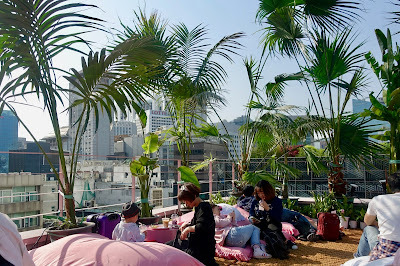 I had fallen head over heels with Japan and coming straight over to Seoul, it was a change and took a bit of adjusting. 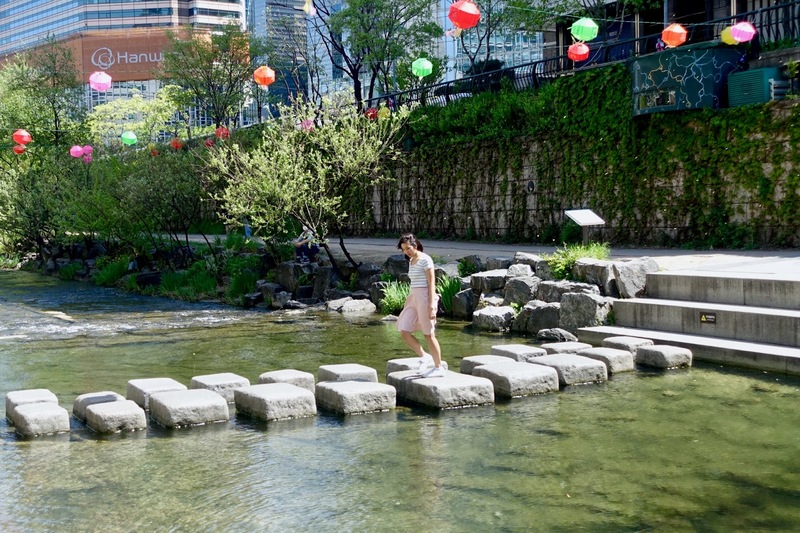 Japan was such a high and hard to measure up to but I soon discovered Seoul has it's own beauty and charm. 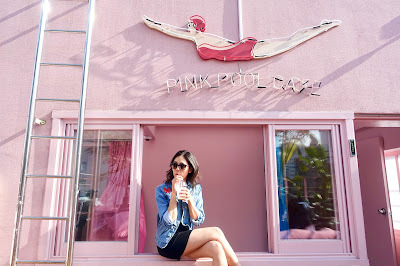 So after 6 days in Seoul, Hang and I had a good time, we shopped, ate, partied and picked up a few Korean phrases :) If you're planning a trip to the land of Kpop and Kbbq's or interested to see what we got to, here are some highlights from our trip! 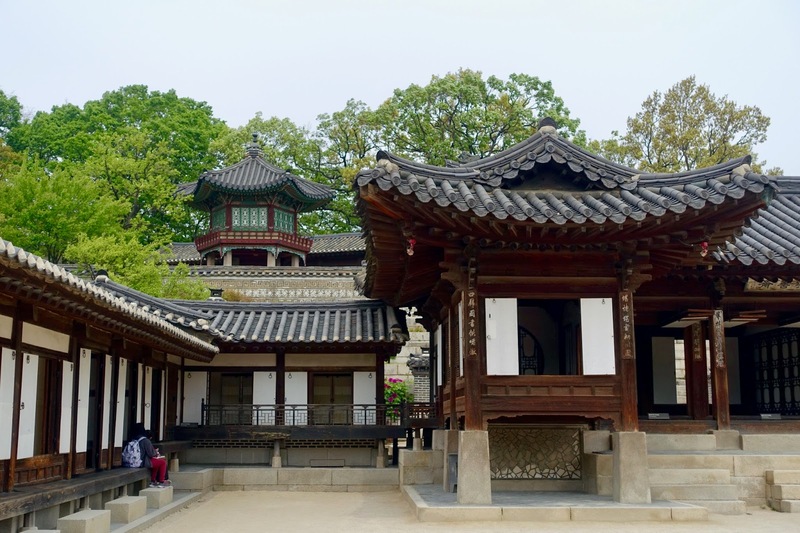 Seoul has amazing history and it was interesting to explore their ancient palaces including Changdeokgung Palace, which is an UNESCO World heritage site. We explored on a Tuesday and it was surprisingly quiet (FYI closed on Mondays) there's a small entrance fee and you're free to wonder the Royal Palace grounds. I loved seeing all the old buildings and imagining how it must of been like way back when to live and rule here! 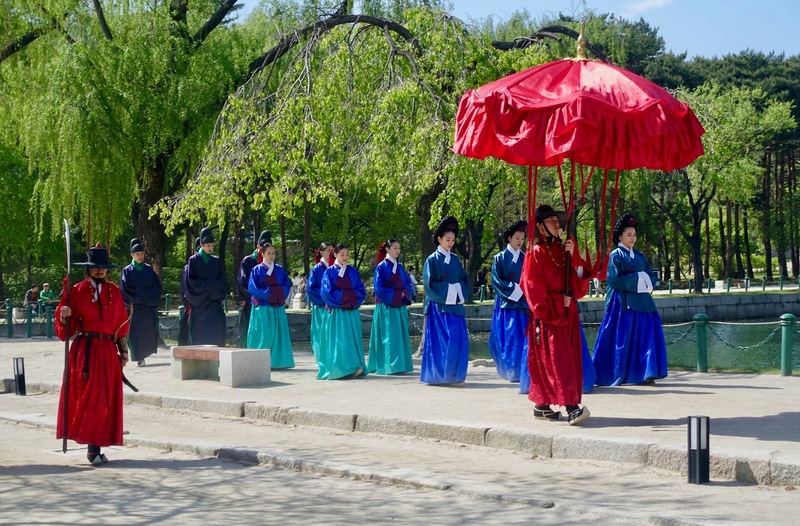 It was also cute seeing girls dressed up in traditional Korean dress, the hanbok. There's also a secret garden tour, which you sign up for if you fancy seeing more of the pretty grounds. 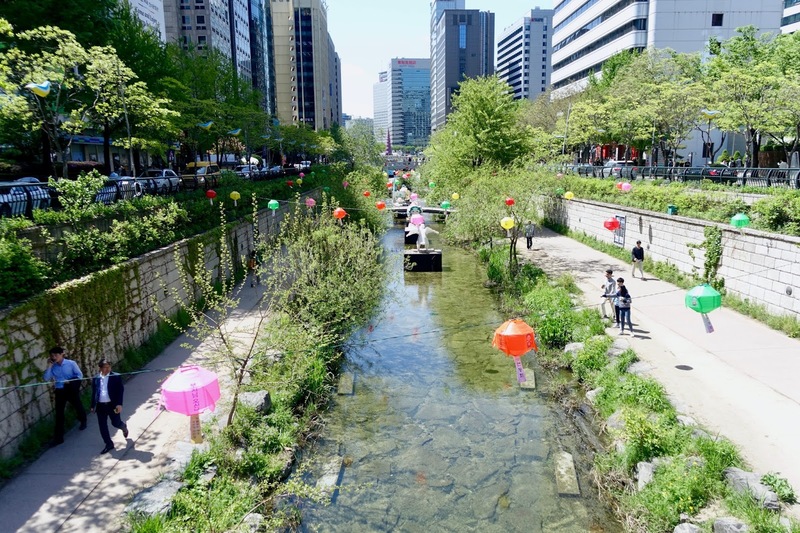 For a calm reprise from the hustle and bustle of Seoul, we took a stroll along Cheonggyechon stream, it runs through the city in the under path and is a really nice and pretty walk. You can sit on the path or there are seats along the way to take a break and relax from a day of sightseeing. 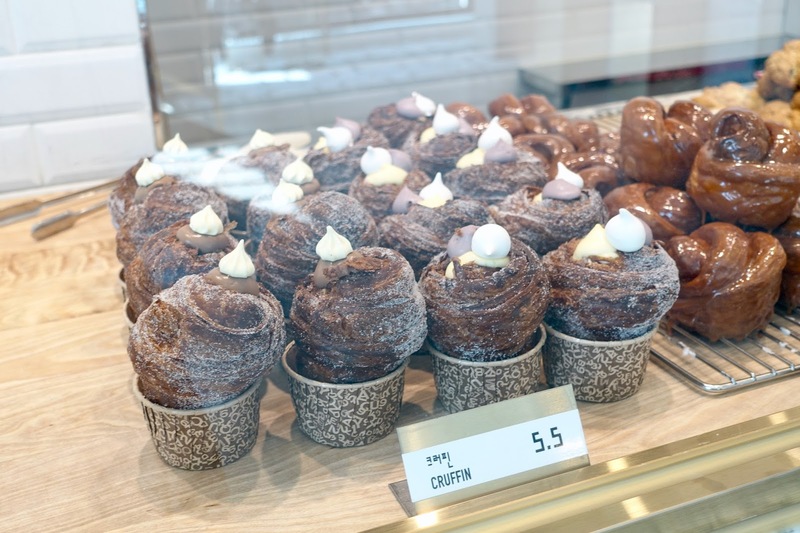 There's lots of places to shop in Seoul but one of my favourite areas was Sinsa. 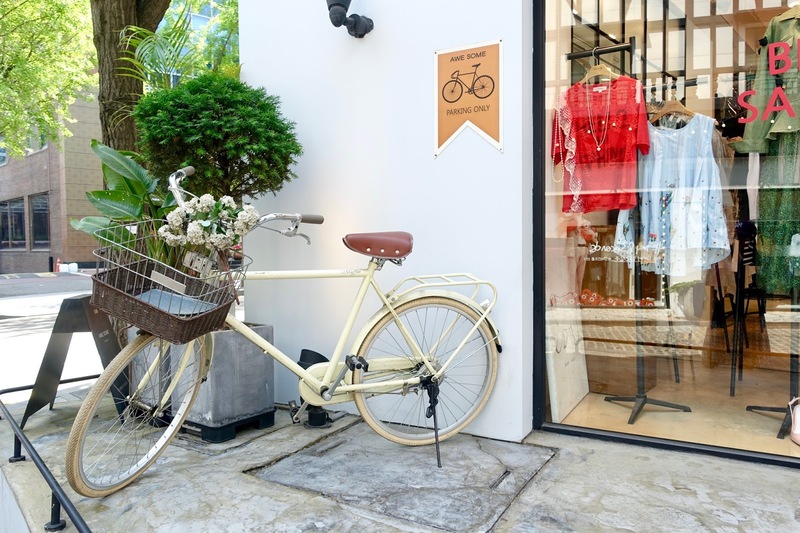 What I like about it is the mix of cute cafes and independent boutique shops, so different to the large shopping malls and designer shops. This area also have some pretty funky shops, check out the Dr Jart showroom below - an inflatable elephant just chilling there! 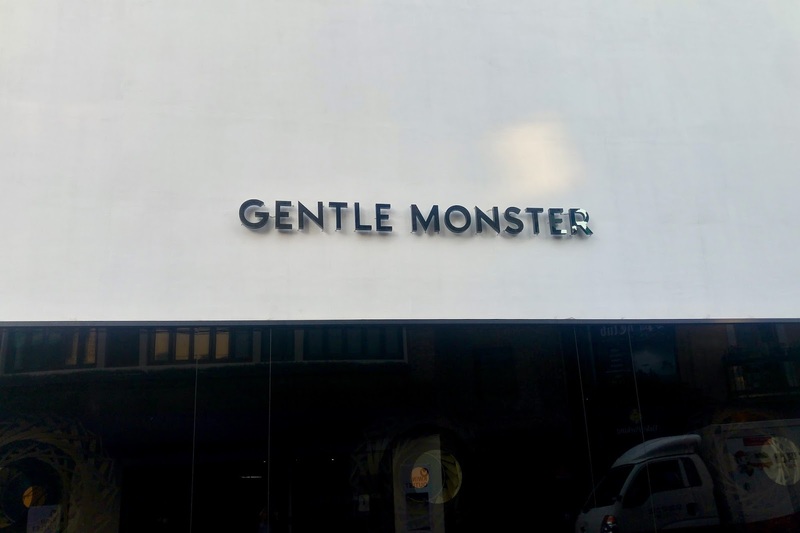 If you love sunglasses, the Gentle Monster flagship store is here as well and it's pretty epic. I was so tempted to pick up a pair of shades but resisted! 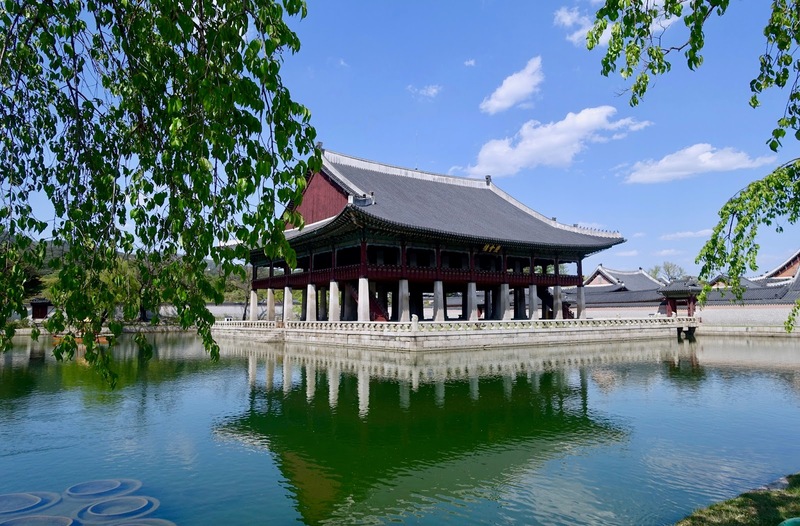 Another must see palace is the Gyeongbokgung Palace, which is really easy to get to by metro. I made the silly mistake of not checking the opening times so we went on Tuesday and it was closed! So make a note it's closed on this day. When we did visit again it was super busy, so many tour groups, school trips etc but it was still a majestic sight to see. I love wondering around the palace and the lake pavilion, it was so grand and magical. We also managed to see the changing of the guards, which was really interesting to watch them in action. In Gangham there is a wonderful Buddhist Temple and it was so calm and peaceful. 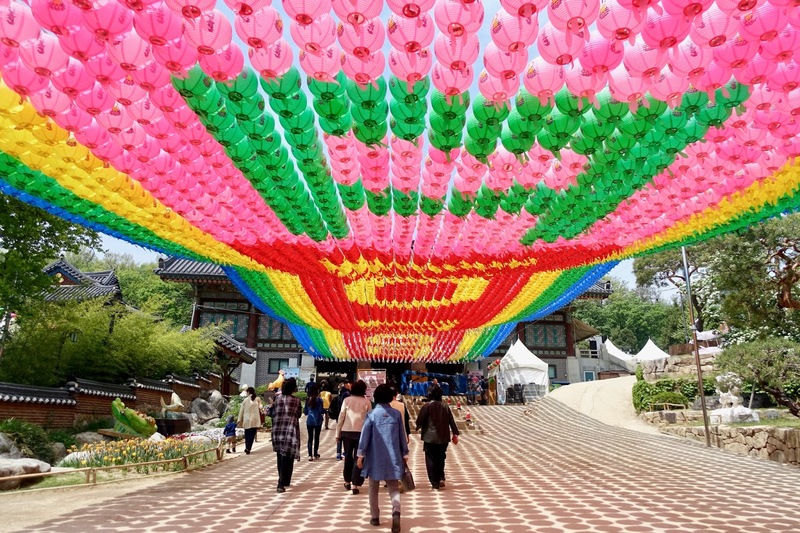 I'm not sure if there was a lantern festival but when we went the temple was adored with these super pretty lanterns. It was lovely to explore the temple and there are gardens and ground tucked around the back. Gangham is such a modern area and it was cool to see the temple amongst the skyscrapers! 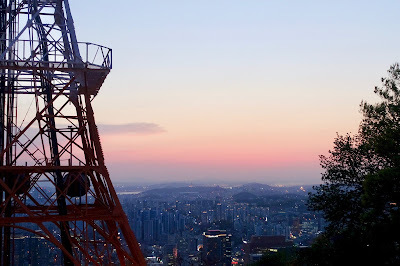 To see Seoul from above, take the cable car up to Seoul Tower. We decided to go around dusk when the sun was setting and the views were beautiful. 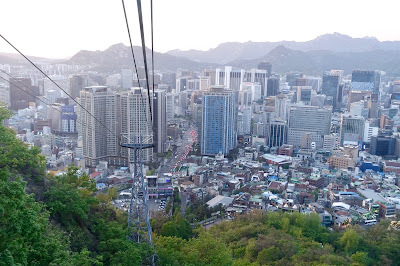 The cable car is quite compact but it's such a fun way to see Seoul as you're going up! You can also take a hike up to the tower if you feel up for the long walk! 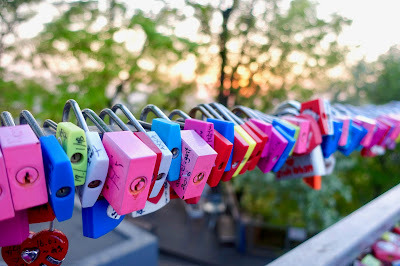 Once you arrive at the top of the hill, there's a area where people add love locks on the railings, they looked really cute and colourful. 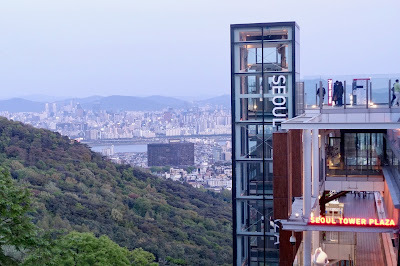 We didn't actually go up the Seoul Tower but decided to explore the plaza, which is lively with interactive screens, outdoor decking area and restaurants. 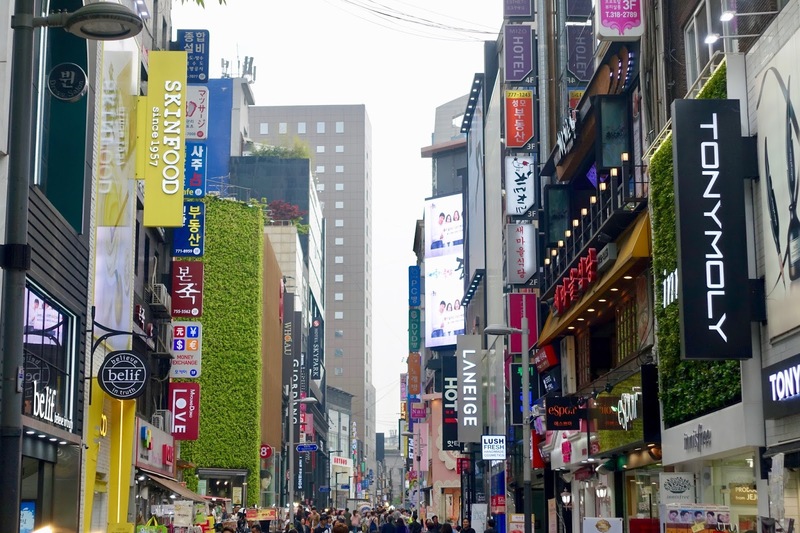 It goes without saying Seoul is the place for Korean beauty and skincare. 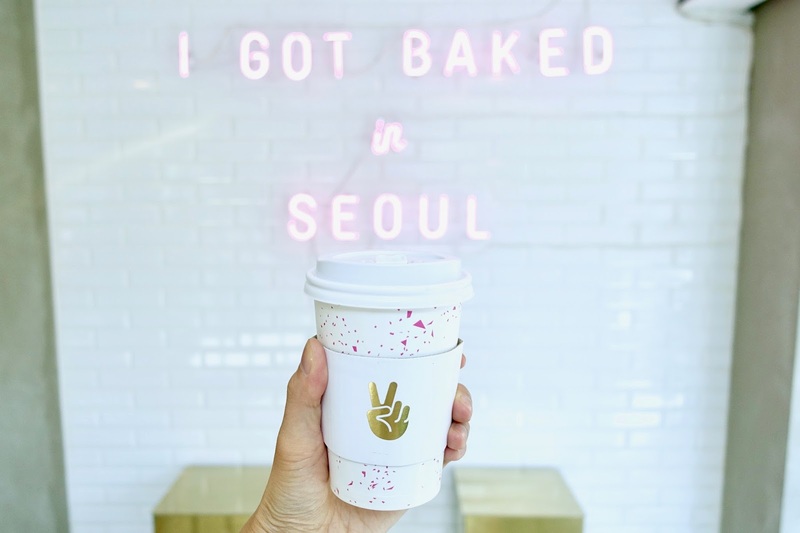 If you're a fellow K-Beauty lover, you'll be spoilt for choice for all the beauty brands on offer in Myeong-Dong. I would recommend visiting Aland and Olive Young, which is like Sephora. There are so many beauty shops lined up along the main street, bring your shopping list and alot of the stores hand out free samples if you pop in. I've got a more in depth post on what beauty products I brought in Seoul, if you fancy a read. 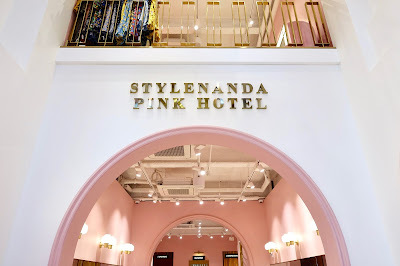 Whenever I'm travelling I love going on Instagram and searching for places to see and go, that's how I came across the Stylenanda Pink Hotel. I said to Hang we have to go here, it's all pink haha. Stylenanda is a Korean fashion and beauty store and their shop is so unique. it's designed like a hotel with different floors including a hanging bed, bath filled with flowers and the best part the rooftop cafe. You can access it when you buy a drink on the floor below, this was such a fun spot to chill out. Yes, it's very girly and Hang was out of place with all the girl taking selfies but still worth a visit! 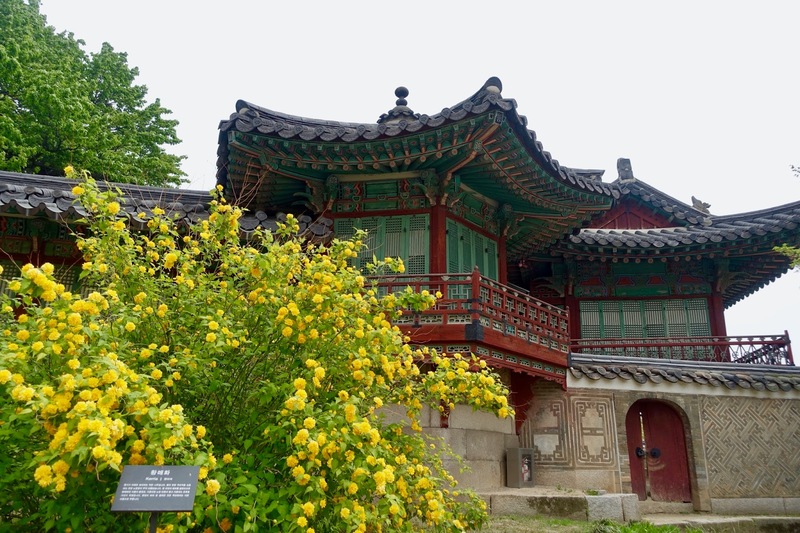 Of course there are loads more to do in Seoul including visiting the old town of Insadong, Bukchon Hanok Village and the hip and young crowd in Hong Dae. I hope you enjoyed this post and seeing what we did and fun places to visit. 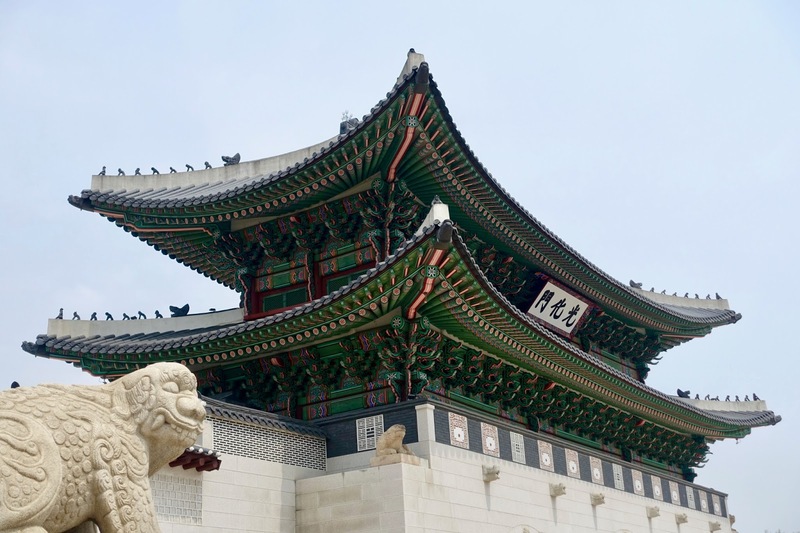 Although I didn't love Seoul as much as Japan, it's still a great place to visit with so much style and character. 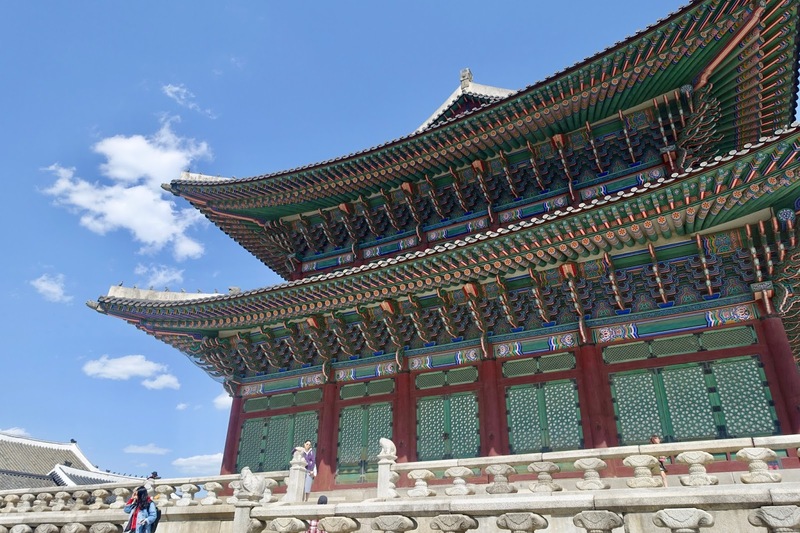 If you're thinking of travelling to South Korea, I would highly recommend booking tours and day trips with Trazy. 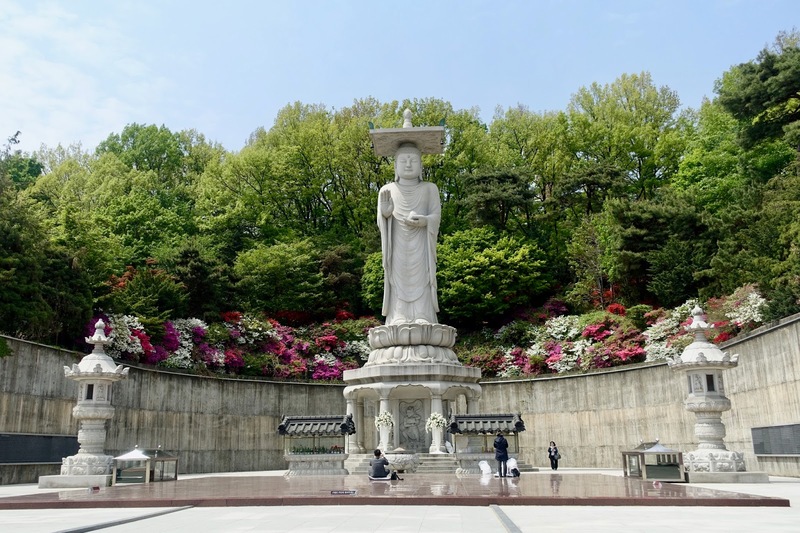 We used them for our Nami Island trip and it was such a great hassle free experience. 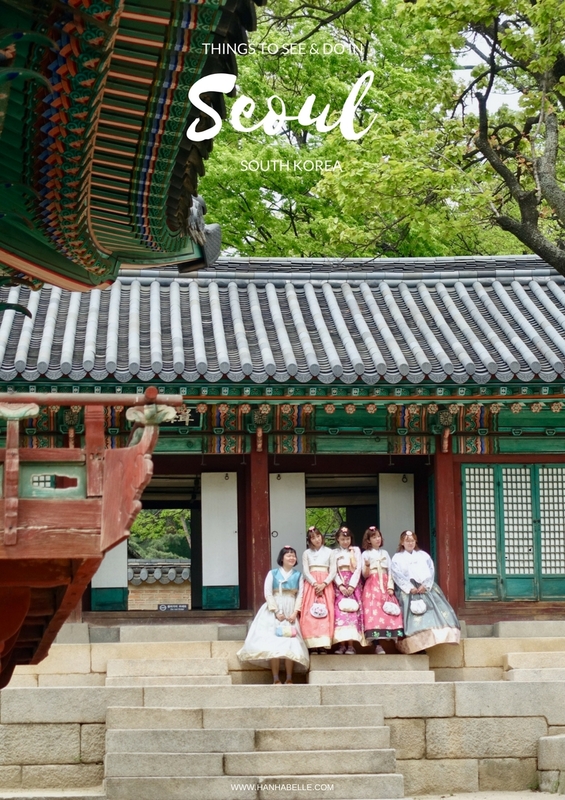 Have you been to Seoul, what was your favourite experience? 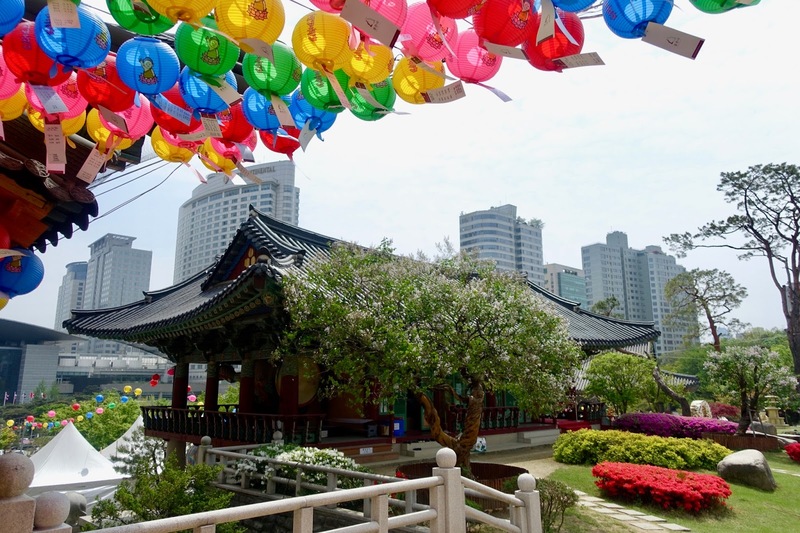 What do you think of Seoul?